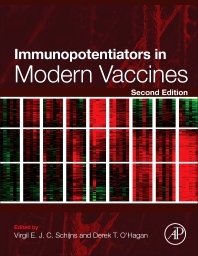 Immunopotentiators in Modern Vaccines, Second Edition, provides in-depth insights and overviews of the most successful adjuvants, those that have been included in licensed products, also covering the most promising technologies that have emerged in recent years. In contrast to existing books on the subject, the chapters here provide summaries of key data on the mechanisms of action of the individual vaccine adjuvants. In addition, the book covers key aspects of how the technologies might be further developed and what might be their limitations, while also giving an overview of what made the most advanced adjuvant technologies successful.